“HAAG Certified.” In the roofing and insurance industries, that phrase carries a lot of weight. It means we are a true authority in our industry. It means we can quickly and accurately inspect roofs for damage and correctly evaluate that damage. And it means that when we report our findings, our conclusions have true credibility. For roofing inspectors, HAAG Certification is the credential to have. With the scientifically based damage assessment techniques gained in the certification course, we enjoy significant industry benefits. 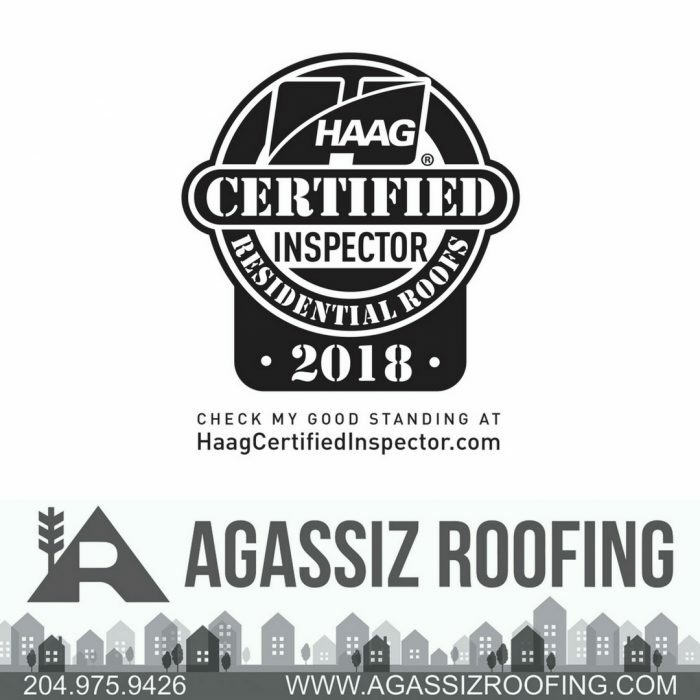 HAAG certification has increased our value as roof inspectors. Sometimes our HAAG Certification is the reason we get called over another, non-certified company. Our certification is often a crucial tie breaker, the extra authority that gets our findings accepted if you find yourself at odds with an insurance company who has reached a different conclusion. As a HAAG Certified inspector we simply have skills and knowledge other storm damage inspectors don’t. It continues to be great for our professional reputation. The Haag Certified Inspector – Roof program is designed to make us highly proficient with all major types of roofs. We’ve learned how hail and wind interact with roofing, inspection safety techniques, roof area calculations, and applicable codes. We have also gained comprehensive understanding of manufacture, installation, weathering, hail damage, wind damage, maintenance, mechanical damage, and repair costs for each major roofing type — composition, wood shingle/shake, concrete and clay tile, asbestos, fiber cement, and various synthetic, slate, and metal roofing types. Real-world case studies have made the information vivid and memorable. Inspections can be done for homeowners, realtors, businesses, general contractors, restoration contractors, insurance companies and independent insurance adjusters. Give Agassiz Roofing a call for your next roof inspection!